A special and numbered version of the most powerful and technologically advanced Vespa of all times. The technology and touring vocation so typical of the Vespa GTS family meet the history and most genuine sport tradition of Vespa. 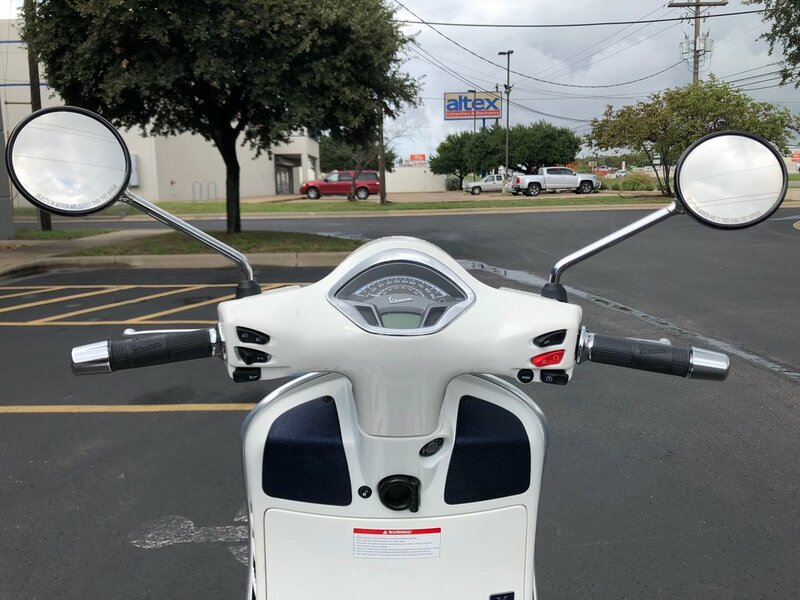 Characterized by the large body made strictly in steel, perfect for moving about elegantly in the city but always ready for travel and adventure, Vespa GTS is the technical base for the new 2019 Vespa that uses the most powerful engine in the history of the most famous and beloved scooter in the world. It is a modern and technological 300 Euro 4, a single cylinder, 4-stroke, 4-valve, liquid cooled, electronic injection engine capable of putting out 15.6 kW (21.2 CV) of power at 7,750 rpm and maximum torque of 22 Nm at just 5,000 rpm. These are values that ensure extremely quick response in acceleration and extremely brilliant performance all around. UNIQUE VESPA LOOK BLENDS WITH THE FINESSE THAT IS TYPICAL OF THE WORLD OF SAILING. The elegant Italian style typical of Vespa encounters the fascinating world of yachting and sailing: this pairing of elegance and finesse is the wellspring of the special series Primavera Yacht Club and GTS Yacht Club, developed using the technical specifications of the latest small and large frame Vespa. 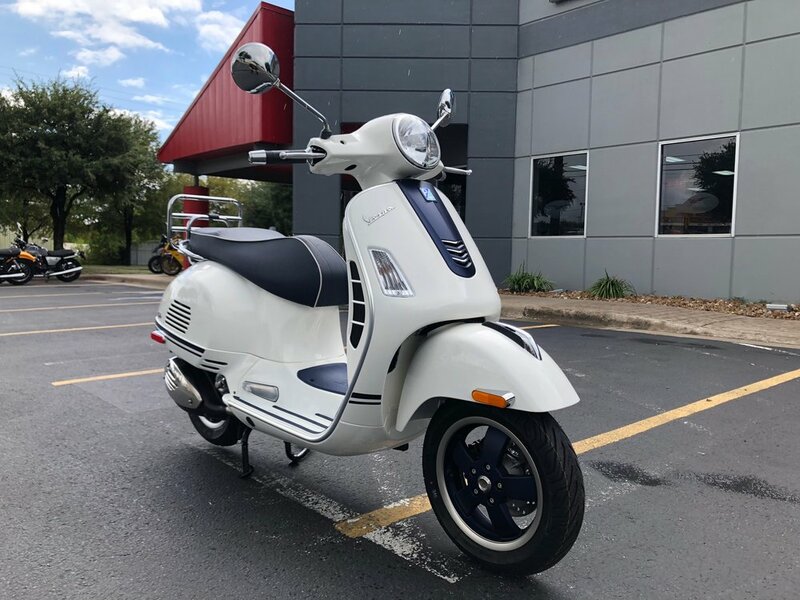 Vespa Primavera Yacht Club, available in 50 and 150cc versions, and Vespa GTS Yacht Club, available in 300cc version, stand out for their white color, embellished with numerous navy blue details. These include, beside the special graphics on the chassis, the rims, varnished an opaque blue with a special diamond finish, the “tie” on the front shield, also blue with chrome ornaments, and the rubber floorboard inserts. An additional distinct element, exclusive of the Yacht Club special series is the saddle, with the white edge that runs around the perimeter of the saddle, as well as the plate with the Yacht Club logo placed on the rear shield complete the personalization and highlight the attention given to even minute details.